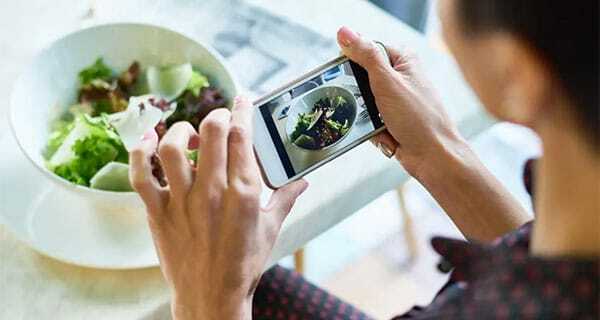 The rising trend of veganism has uncovered some home truths – this article investigates how hidden behind the perfectly Instagrammable meals lies another form of control for those suffering from eating disorders. In a perfect world, the rise in veganism comes solely from a place of compassion for animals and a personal responsibility towards sustainability and reducing carbon emissions. But in reality, veganism is also being used as a cover for disordered eating. When 21-year-old music student Katie Alice Macdonald was an inpatient for anorexia, she wasn’t allowed to follow a vegan diet. But when she became an outpatient, Macdonald used veganism as an excuse to control her eating. “I think being vegan made it easier for me to not comply in treatment because I stated that I didn’t want to be made to have animal produce, and restoring weight on a plant-based diet can be problematic for some dieticians, so I do think I used it as an excuse,” she says. Macdonald, who has been vegan for three of the eight years she’s had anorexia for, says veganism often gave her an easy excuse to restrict unhealthy foods. “Veganism can definitely mask a very restrictive diet, and it makes it so much easier to hide eating disorder symptoms, especially as veganism is seen as such a green, plant-based lifestyle,” she says. There are a number of studies that have found disordered eating among vegetarians, however, while the number of vegans is rising year on year – it’s estimated that up to 3.5 million people in the UK are vegan. The trend has come from the fringes relatively recently, and is therefore a much less researched area. A study in 2013, for example, looked at the relationship between vegetarianism and eating disorders among women, and found that about half of those with anorexia reported eating some form of vegetarian diet, compared to around 2 per cent of the UK population. More than two thirds of participants with a history of eating disorders and vegetarianism agreed that there was a relation between vegetarianism and their eating disorder, and many said being vegetarian helped them lose weight, maintain their eating disorder and provide another way to cut calories and feel in control. Abbey Sharp, registered dietician and food blogger, lived on a diet of just boiled broccoli, dry kale and baked chicken breasts in her attempts to eat healthily, and lost 50lbs in one year. Sharp’s career helped her overcome her disordered eating, when she realised how much being a food blogger clashed with her endless clean-eating rules. And as she observes veganism rise through the ranks and gain a trendy status, she is concerned for those susceptible to disordered eating. “While there are a lot of fantastic reasons to choose to eat more plant-based, I have seen it often lead down a disorderly road,” she says. “Veganism can be incredibly healthy, so I don’t want to dismiss the benefits of plant-based food. But it’s a very challenging diet to adhere to and often can be isolating and overly restrictive. “When a specific way of eating gets in the way of us enjoying social events, or when we use our ‘lifestyle’ as a way to eat less or fewer foods we deem ‘unclean’ or ‘unhealthy’, we dip down that slippery slope.”…..